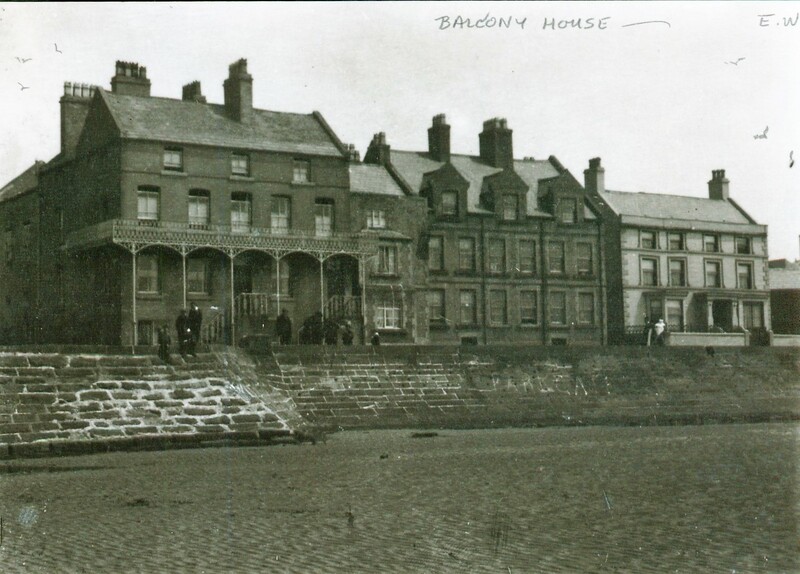 Balcony House (shown on the left) was built as two houses in about 1750 with entry to each by way of a flight of nine steps, thus keeping the ground floor well above any possible tidal flood level – other houses on The Parade also have this feature. The elegant balcony which gives the building its name was added in 1868. Next to Balcony House you can see South Cottage now known as the "Little Tea House" - this building remains largely unchanged from this picture. The lighter building the far right of the picture is Dee House; this was demolished and "Nicholls Famous Ice Cream" parlour was built here in 1930s.